Put an end to all your travel worries!!! A CLASS CHAUFFEUR. One of the finest Transportation Companies around is here to assist you with all kinds of your travel needs. Whether you’re traveling for business or pleasure, A Class Chauffeur Transport has programs and personal services to make your travels with us easier and more enjoyable. we can build you an itinerary from start to finish, whether you have specific places in mind, or just know that you'd like to go to an Italian restaurant. We believe that as a company we have a certain responsibility to all our stakeholders: from our clients to our employees, from the communities that we live in, to the local governments that govern us. We aim to establish highly ethical business practices that help us ensure we are fulfilling these responsibilities accordingly. Compliance with all the rules and regulations of the local authorities plays a major part of our business, which enables us to build a strong business that’s grounded in reality. The buses that we provide to schools and universities are all in compliance with the local transport authorities such as RTA, AD - DOT, ADEC, etc. Sometimes we have exceeded the minimum expectations of governing bodies and this is solely due to our own system of self imposed evaluations. We offer various size buses with drivers and fuel for long term durations such as weekly, monthly, and yearly. This service is mainly geared towards the corporate sector. 1. Pickup and Drop-Back facility. 2. Friendly, Experience & helpful staff in rental services. 5. Desert Safaris & city tours. 6. Professional and Multilingual Tour Guides can be arranged. 7. Long Term Transport for Airport staff, Corporate staff, school, colleges & Labors. A CLASS CHAUFFEUR is more than a Transportation company. No matter what size group you have we have the resources to handle it. From luxury sedans, to our decked out Minibus trust us to get your group to your destination in style. Different types of Buses can be booked with us to facilitate shuttle services at any event/ exhibition/conference in the cities of Dubai & Abu Dhabi. As part of our core services areas, we aim to fulfill any staff transfers for Airport & Hotel in the major cities of the UAE. We understand the unique needs of the Airport & Hotel Industry and offer 24-hour staff transfer services. We offer various size buses with drivers and fuel for long term durations such as weekly, monthly, and yearly. This service is mainly geared towards the. various corporate offices, banks, hospitals, shopping malls, cafes. Different sizes of buses with drivers for fast and efficient staff transfers from their places of work to their apartments. Construction companies, contracting firms put an end investing in own fleet of buses and the hassles of their maintenance. A CLASS CHAUFFEUR provide shuttling facilities to the blue collars too. You would be picked up right from your stop and dropped back. 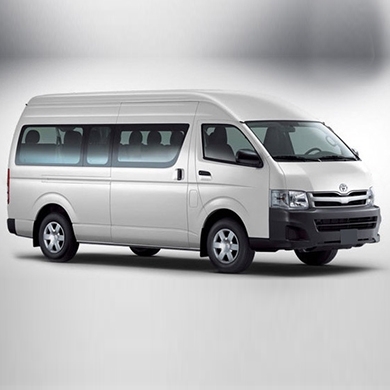 We offer various size buses with drivers for short day-trips within the cities of the UAE or even for overnight trips to different emirates such as Dubai, Abu Dhabi, Umm al Quwain & Fujairah.